This #1 Pilgrim Statue traveled extensively worldwide for more than 30 years before being returned to the Shrine at Fatima, Portugal. Inspired by the many wonders accompanying the travels of the statue, Mr. John Haffert approached the bishop of Leiria for permission to have a second statue made so the Fatima message could become more widely known in more places. Encouraged by the Bishop’s approval, Mr. Haffert commissioned the No. 2 statue which was blessed by the Bishop on October 13, 1947. He brought her to the Americas and placed her in the care of Fr. McGrath of the Scarboro Mission in Canada. After 25 years with Fr. McGrath, the statue was circulated by several organizations beginning in Brazil under Professor Plimio Correa de Oliveira of Tradition, Family Property (TFP)--America Needs Fatima, and a renowned lay Catholic leader and author; Mr. Kevin Morley of the Apostolate for the Triumph of the Immaculate Heart of Mary in Australia; the Alliance of the Two Hearts in the Philippines. In 1995, The Pilgrim Virgin Committee (now incorporated as the International Pilgrim Virgin Foundation, Inc.) was organized by Mr. John Haffert to manage her travels. In 2014, Mrs. John Haffert relinquished ownership of the No. 2 statue to the World Apostolate of Fatima, as the National Shrine of that organization was designated by Mr. Haffert to be her permanent home during the promised triumph of The Immaculate Heart of Mary and the era of peace. Another statue was "smuggled" into Russia. After remaining hidden in the American Embassy for many years, it is now on display. To further increase the spread of the message, various Fatima promoters circulated versions of the statue. Fr. Patrick Moore devoted his life to this work for more than 40 years. His pilgrim statue is now at Madonna House in Canada. Fr. Patrick Peyton used to bring his Fatima Pilgrim Statue as he traveled, as did Fr. Gobbi. The TFP / America Needs Fatima has many statues engaged in home visits. (Also, there was the effort to provide National Pilgrim Virgin Statues for many nations, in which endeavor Mr. John M. Haffert was instrumental.) The Shrine at Fatima has about 13 more recent International Pilgrim Virgin Statues available for various trips around the world. The No. 1 International Pilgrim Virgin Statue, after traveling many years, has now been retired and is on display at the Fatima Shrine in Portugal, and has not traveled for more than 30 years. One quickly realizes that "the" International Pilgrim Virgin Statue has usually been spoken of in the singular even though there are many statues referred to as the international pilgrim. On May 13, 2010, Pope Benedict XVI said, "At that time it was only three children, yet the example of their lives spread and multiplied, especially as a result of the travels of the Pilgrim Virgin, in countless groups throughout the world, dedicated to the cause of fraternal solidarity." In order to continue the mandate entrusted to us by John Haffert, this apostolate is presently circulating the Satellite International Pilgrim Virgin Statue of Our Lady of Fatima. 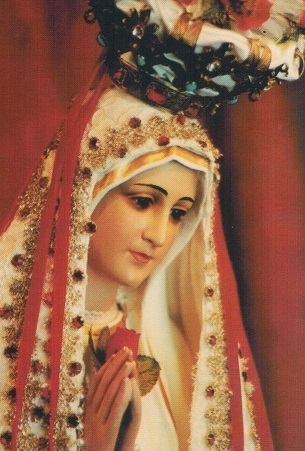 We use the term Satellite because, to the best of our knowledge, it is the only version which has a relic chip from the original 1947 statue embedded in it and the many graces we see bestowed during our mission visitations convinces us that Our Lady has blessed Her Satellite statue with the same efficacy to touch hearts as the original.